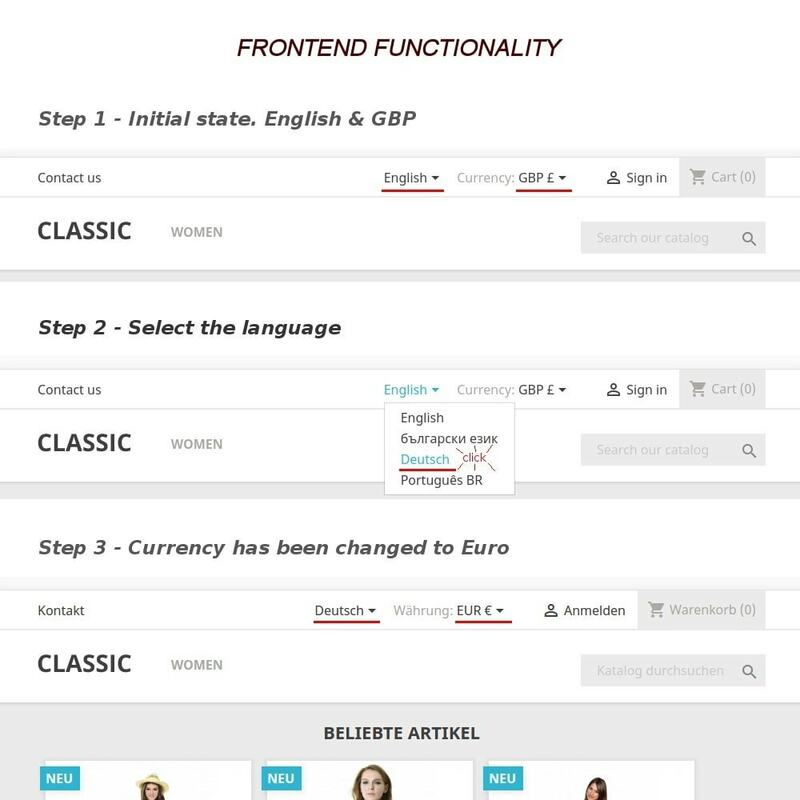 The module will make your user's experience better automatically switching the currency when they switch the language. The module uses by default the language selector of Prestashop's default theme. If you are using different theme, then check the DOM path of the language links and add it to the field in the module settings (CSS language selector). If you have troubles with this, feel free to contact me and I will help.